Clinical trial claims can be made if you or a member of your family has been involved in a trial that has caused you an injury. Volunteers often take part in clinical trials; these individuals may be healthy or sick. The profile of the participant depends on what information is needed for the drug or product that is being tested. Clinical trials are research studies on humans which are designed to answer specific questions; they can also allow access to new treatment before it has become legally available. Trials are used to test the effects of medical devices, drugs, treatments, food and new drug combinations before they are taken to market. The main aims of the trials are to check for safe use and to see if there are any side effects. Before a clinical trial can be undertaken, there must be authorisation from the Medicine Healthcare Regulatory Authority (MHRA). Once a clinical trial has taken place to a satisfactory level, then a licence for the product can be granted. The first phase is designed to test the safety of the drug. There is a focus on any side effects which may occur and questions are asked about what the correct dosage of a drug should be. In this part of a clinical trial, the people tested on are usually healthy. When the other two phases have been completed, phase three can begin. This stage tests larger groups of ill patients and also compares the new proposed treatment with what is currently considered the ‘best-known treatment’ at the time to see which one works better. The final phase takes place when a drug has received a licence and is intended to assess long-term risks and see what the benefits are. Many people take part in clinical trials and most of the time there are no problems. However, the very nature of a clinical trial means that there is the opportunity for things to go wrong. Rules and regulations attached to clinical trials mean that if you have been injured then it can be possible to make a personal injury claim. There are certain laws and rules attached to clinical trials which must be adhered to by the person carrying out the trial. For example, those participating must have written details of what the trials involve and they must know about the risks and possible side effects. Insurance must also be in place before any clinical trials can start. In the UK, the Medicine for Human Use Regulations (2004) has implemented the EU Clinical Trials Directive where there is no compensation scheme available if you have been injured through a clinical trial. However, there are official guidelines in the UK for clinical trials issued by the Association of the British Pharmaceutical Industry which help determine the success of a possible compensation claim. If a claim cannot be made via this channel, it may also be considered as a clinical negligence claim or a defective product claim. To help determine the best route for you and your particular circumstances, it is advisable to seek the help of a qualified and experienced personal injury lawyer. First Personal Injury lawyers are specialists in different kinds of clinical trials claims and we have broad experience in helping clients successfully receive the maximum amount of compensation they are legally entitled to. How Much Will I Get For a Clinical Trial Compensation Claim? The amount of compensation you will receive for a clinical trial claim will depend largely on the extent to which you have suffered. During the compensation claims process, a number of different elements will be considered including the level of pain and suffering you have experienced; the number of expenses you have had to pay for in relation to your injury and whether or not you have suffered a loss of earnings as a result. All of these factors will be taken into account when calculating how much compensation you will be awarded for a clinical trial claim. If you have been harmed by a clinical trial then you may be able to make a clinical trial compensation claim. 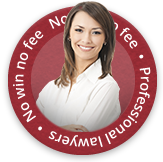 Please get in touch with our no win no fee solicitors at First Personal Injury lawyers on 0800 808 9740 or complete one of our online claim forms.